The Crown Pointe model has 2 Beds and 1 Bath. This 639 square foot Single Wide home is available for delivery in Indiana, Illinois, Michigan, Ohio, Kentucky, Minnesota, Iowa, Missouri, Wisconsin. This alluring little model has a lot to offer despite its diminutive size. The front entry opens to a spacious and inviting living room flanked by a well-equipped kitchen. 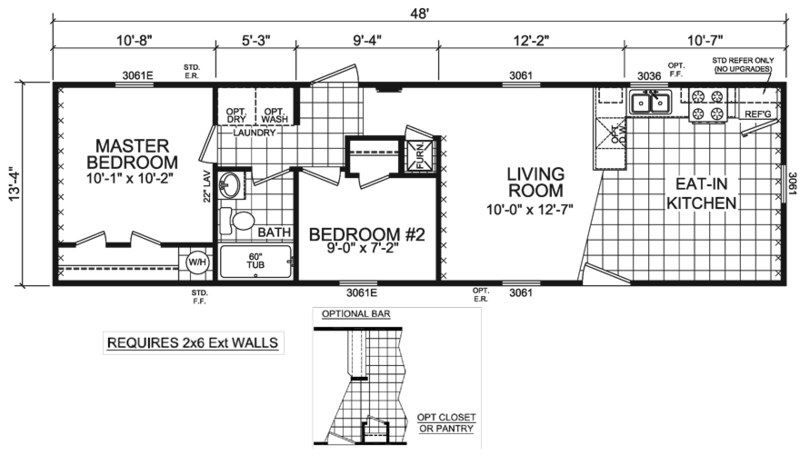 The Crown Pointe would make a practical and affordable vacation home. Ask about the optional kitchen pantry. 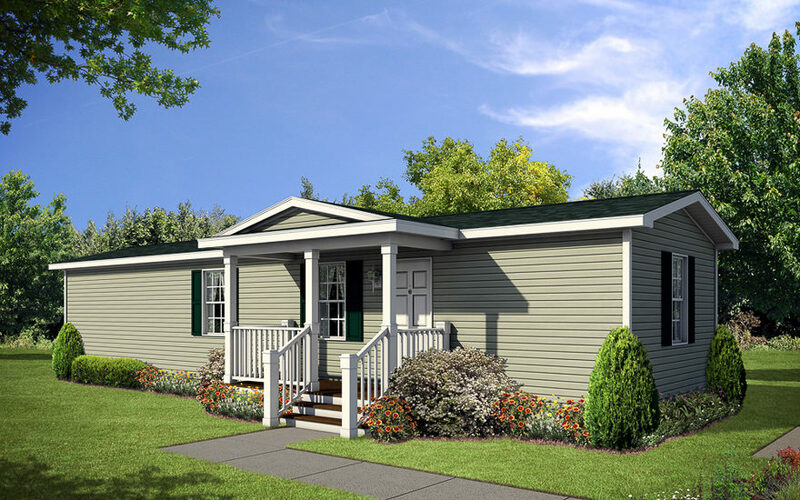 Ask your housing consultant about the other great features that come standard on the Crown Pointe manufactured home.